Gray hooded sweatshirt with royal blue and white screened imprint. Made of 55% cotton/45% polyester. MV Sport - imported. 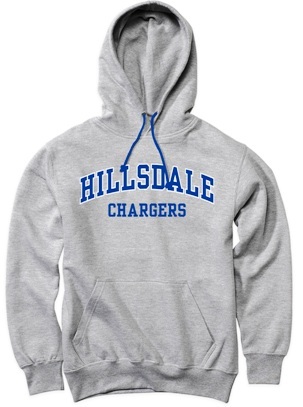 Please select option for HOODED SWEATSHIRT - GRAY CHARGERS.